[KFestival] Festivals in October 2015 Part 2 - 짱이뻐! Jeonju International Sori Festival is a global music festival centered on Korean vocals and music. 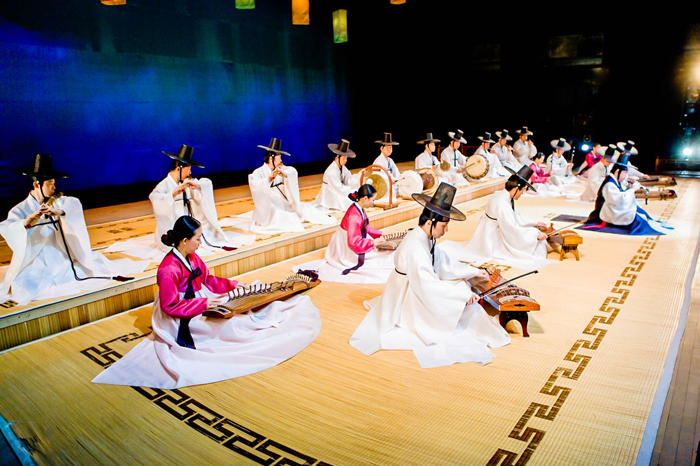 It is a top performing arts festival where exquisite Korean and global music are brought together. The festival covers a wide array of performances, from fringe music performances to master performances by some of the world’s most recognizable voices. It is a fun, exciting festival where music, nature, and people come alive together. - I'm Sorrikkun (Sori Performer): Amateur singers Contest! * Children aged under 8 may participate in kids programs. From Jeonju Intercity Bus Terminal or Express Bus Terminal. Take bus 165 at the bus stop in front of Geumam1-Dong Office. Get off at Sori Arts Center. From Jeonju Station, take bus 79 or 119. Get off at Jeondong Cathedral (Hanok Village). From Jeonju Intercity Bus Terminal or Express Bus Terminal, take bus 79. It takes 15-20 min by taxi from Jeonju Station or Express Bus Terminal to Hanok Village. Jagalchi Market is the largest seafood market in Korea and one of Busan’s most well-known tourist attractions. The festival takes place every autumn and its slogan is “Oiso! Boiso! Saiso! (“Come! See! Buy!” in the Busan accent)”. The huge size and bustling, lively atmosphere makes a visit to Jagalchi Market a unique experience for many visitors. 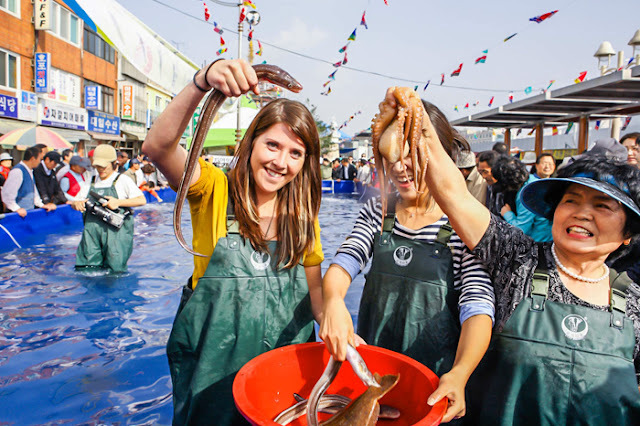 Small food stalls serve fresh inshore hagfish grilled on briquette fires along with other unusual sea creatures and sashimi-sliced fish at market prices. - Turn right onto Jagalchi-ro 37beon-gil Road. Go 120m, turn left, and walk 3min to arrive at Jagalchi Market. Jaraseom Island area in Gapyeong. The Jarasum International Jazz Festival is held every October on the beautiful Jaraseom Island in Gapyeong-gun, Gyeonggi-do. 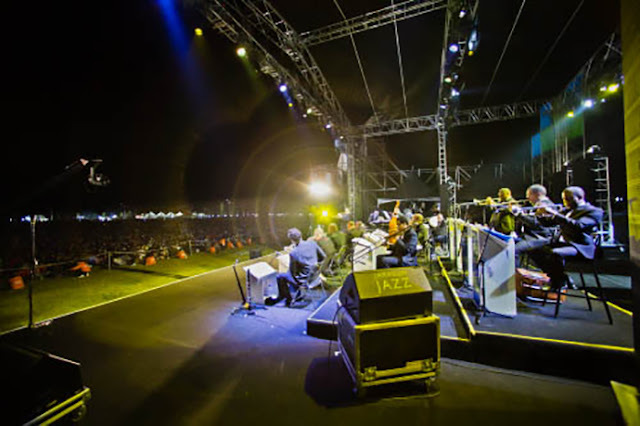 During the festival world-famous jazz artists come together to delight audiences with the smooth vibes of live jazz. The festival was designated as one of the “Outstanding Festivals” for three consecutive years by the Ministry of Culture, Sports and Tourism, and as one of the “Top Festivals” in 2014. As a Green Life Honorary Ambassador, the festival is also passionate about environment protection. In order to share the external growth with the community, the festival holds a Gapyeong band contest, publishes a Gapyeong restaurant guidebook, and produces Jazz Makgeolli and Jazz Wine made from the region’s products. International Jazz Festival, International Jazz Concours, Jarasum Creative Music Camp, exhibition and hands-on programs, promotion and sales of Gyeong’s specialty products, youth performance, jazz workshop, artwork signing with the artist, midnight jazz club, etc. Free for seniors (ages 65 or older), preschoolers (under 8 years old), and the disabled. Take an intercity bus or a train to Gapyeong (가평). and a 15min-walk from Gapyeong Station. 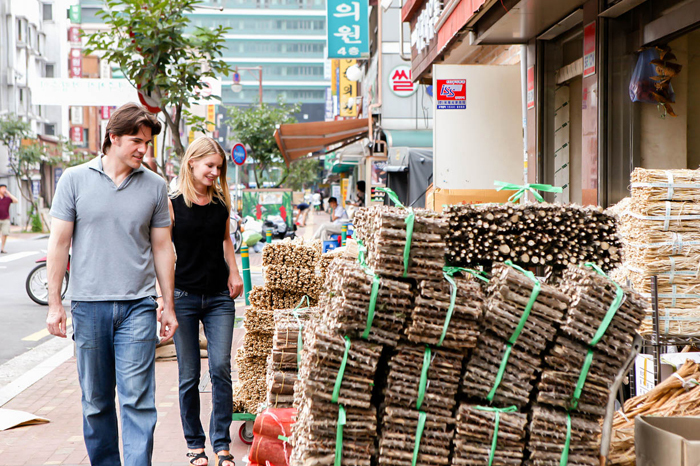 The Herb Medicine Festival has been held every October in Yangnyeongsi (약령시), the largest herbal medicine marketplace in Seoul. The festival celebrates the history and effectiveness of the nation's traditional herb medicine and raises international interest in Seoul’s Yangnyeongsi market. During the festival, a wide variety of events will be held, including activity programs such as an herb slicing contest and writing, cooking, and singing contests. Other highlights on the festival calendar include traditional performances and a taekwondo demonstration. Visitors can also enjoy free herbal tea, food, and rice cakes and will be able to buy a variety of herbs at low prices. Perhaps the most anticipated events of the festival are the free herbal medical diagnoses and treatments, which are on offer for Korean and international visitors. This is a good opportunity for you to check your body condition and experience the benefits of oriental medicine. Free herbal diagnosis and treatment, herb slicing contest, herb cooking contest, etc. High-quality herbal medicines can be purchased at low prices. Reenactment of life in Yangnyeongsi market during the Joseon Dynasty. Exhibits a wide array of herbal medicine and provides activity programs related to herbal medicine. - Jegi Station (Seoul Subway Line 1), Exit 2. - Yongdu Station (Seoul Subway Line 2), Exit 2. Ganggyeong port, Jeotgal Market, Jeotgal Exhibition Hall, etc. Ganggyeong Salted Seafood Festival is known for its freshest and finest quality, which is made with recipes handed down from from generation to generation, retaining the unique, authentic taste of salted fermented fish. All the ingredients are imported directly and prepared in modern facilities. Today, the market accounts for half of the nation’s total sales of salted seafood. The Ganggyeong Festival has grown to become a major industrial festival in Korea, and originally started off in an effort to boost local economy and enhance the fish market merchants’ incomes in 1997 when the IMF financial crisis hit the nation. Salted fish merchants made the festival in a large-scale, getting bigger and better each year. Especially since 2007, the festival has changed its official title to Ganggyeong Fermented Seafood Festival. The festival has in the spotlight and has now established itself as a healthy fermented food item in the world food market, breaking away from the notion of being simply salted, preserved food. From Ganggyeong Intercity Bus Terminal Walk southwest along Gyebaek-ro (계백로) for about 280 m. Turn right onto Daeheung-ro (대흥로). Walk about 170 more meters to find the Ganggyeong Salted Seafood Pavilion on your right. Go straight out of the station (northwest) along Daeheung-ro (대흥로) (about 600 m). Turn left onto Geumbaek-ro (금백로) and walk for about 170 m to find the Ganggyeong Salted Seafood Pavilion on your right. Jeonju Bibimbap Festival is an exciting food festival with the theme of Jeonju Bibimbap, one of the most recognizable local foods in Korea. This year’s festival, in particular, is hosted together with a variety of food events including Korea Food & Tourism Festival, International Fermented Food Expo, Jeonju Yakryeong Hanbang Expo, and Traditional Liquor Festival. The festival consists of fun programs: Mat (Delicious) Bibim, Heung (Fun) Bibim offering cultural performances as well as a food contest, Meot (Elegant) Bibim letting visitors experience food and other programs including a tour program to attractions in Hanok Village. 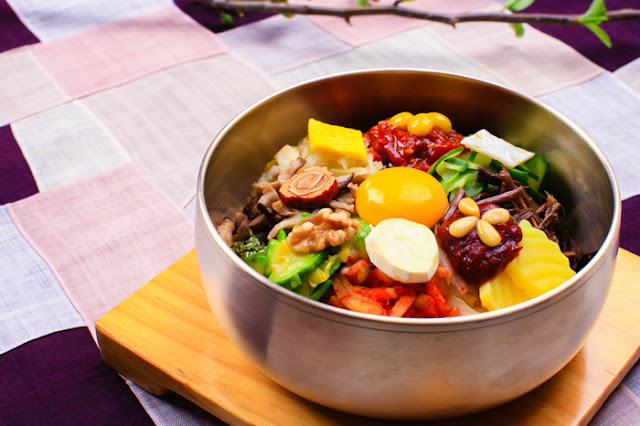 Held in Jeonju, the festival offers the best of Bibimbap to both Korean and international tourists. 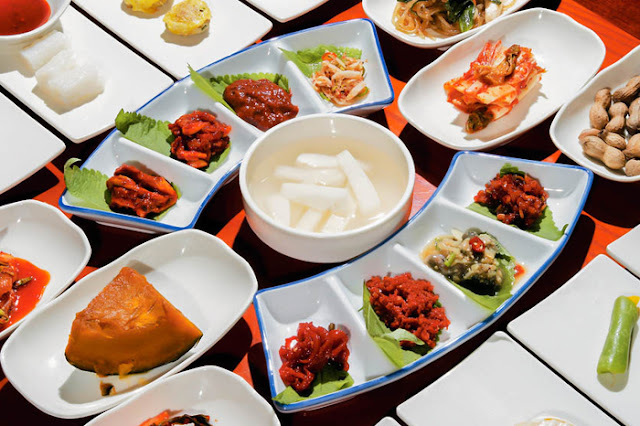 Gwangju, the primate city of Kimchi is to host the festival to boost the sales of one of its famous locally produced specialties - Kimchi. Farmers collaborate with the festival organizers to ensure that fresh fruits and vegetables are supplied for the festival's use. 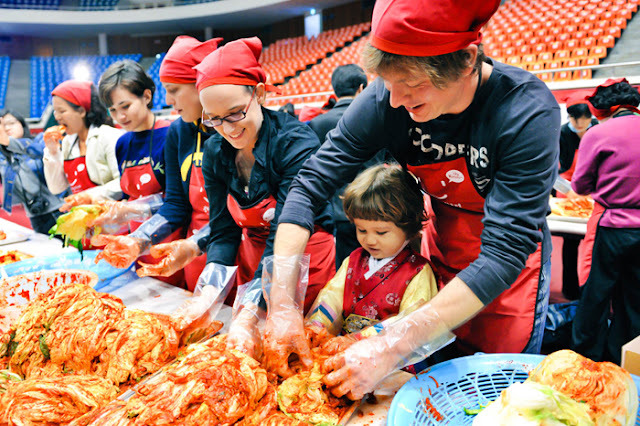 At the festival, visitors may sample a wide range of kimchi varieties, and learn how to make some as well. The one and only Kimchi Presidential prize for the ‘ Kimchi Master Competition’ will be held along with exhibitions, markets, educational and hands-on programs .